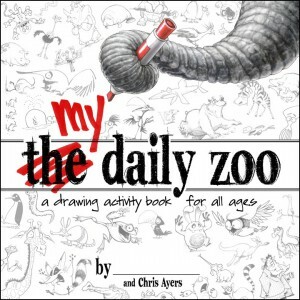 Animator Chris Ayers became well-known for his Daily Zoo project, in which he drew one new animal character every day for a year — therapy while he recovered from a life-threatening illness. Two Daily Zoo books have been released so far… but his latest book takes a different tack. 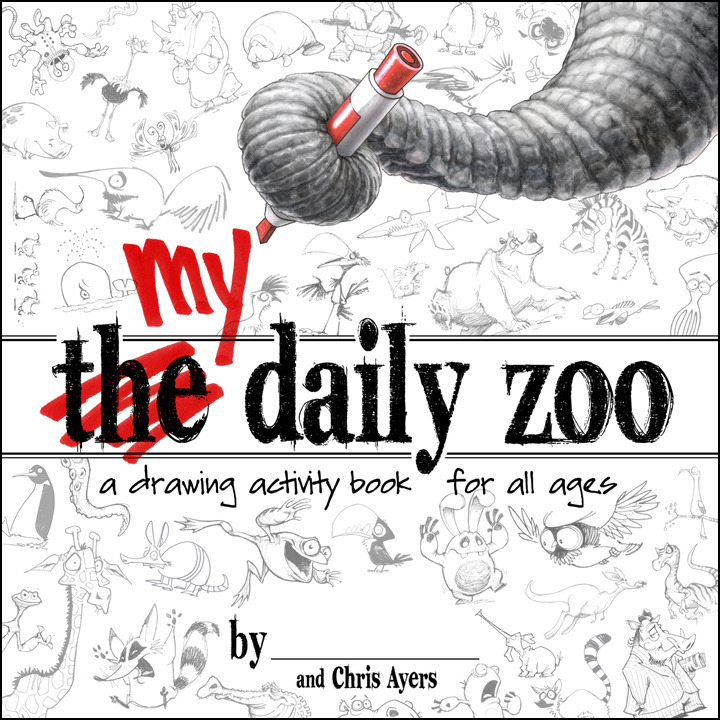 My Daily Zoo is a softcover book featuring over 96 pages of interactive black & white drawing exercises where you unleash your creativity and draw new cartoon animals. You can find out more about Chris, his inspiring story, and his works at his web site.